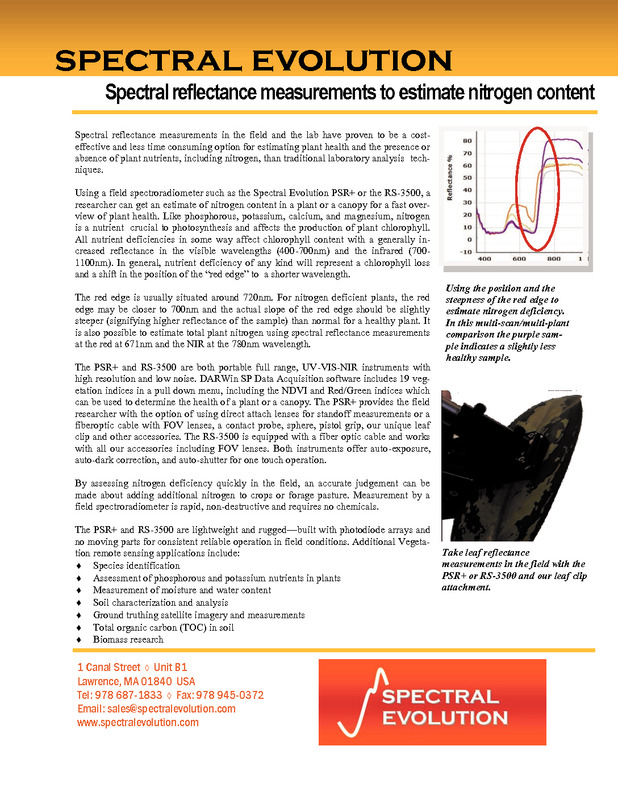 Using a field spectroradiometer such as the Spectral Evolution PSR+ or the RS-3500, a researcher can get an estimate of nitrogen content in a plant or a canopy for a fast overview of plant health. Like phosphorous, potassium, calcium, and magnesium, nitrogen is a nutrient crucial to photosynthesis and affects the production of plant chlorophyll. All nutrient deficiencies in some way affect chlorophyll content with a generally increased reflectance in the visible wavelengths (400-700nm) and the infrared (700-1100nm). In general, nutrient deficiency of any kind will represent a chlorophyll loss and a shift in the position of the “red edge” to a shorter wavelength. The red edge is usually situated around 720nm. 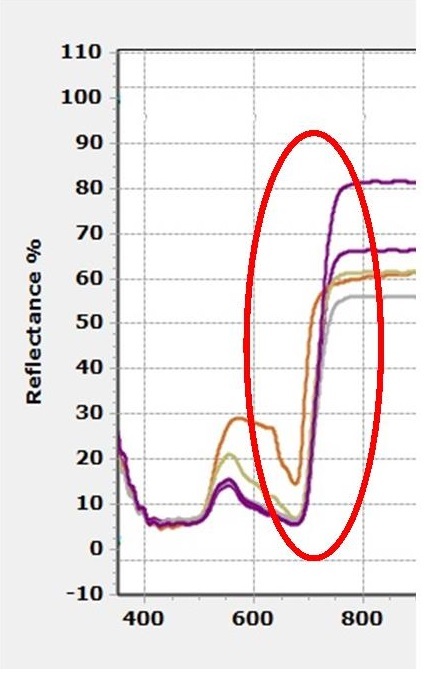 For nitrogen deficient plants, the red edge may be closer to 700nm and the actual slope of the red edge should be slightly steeper (signifying higher reflectance of the sample) than normal for a healthy plant. 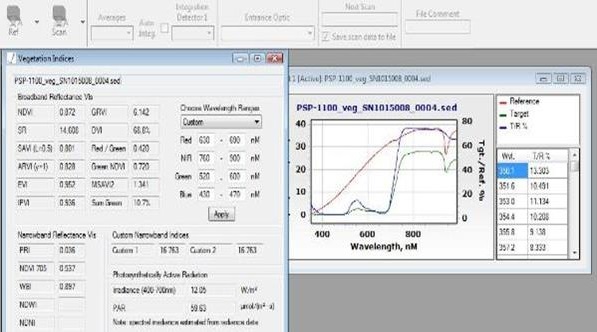 It is also possible to estimate total plant nitrogen using spectral reflectance measurements at the red at 671nm and the NIR at the 780nm wavelength. 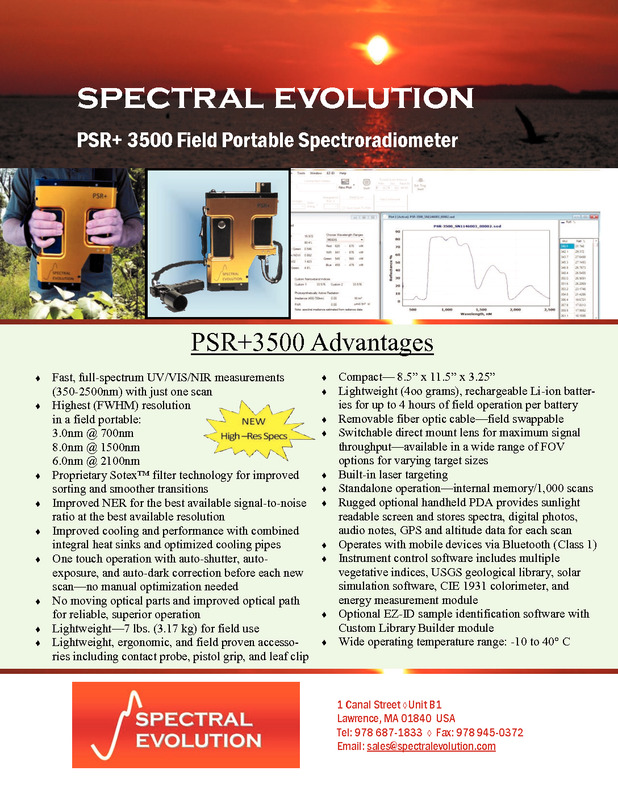 The PSR+ and RS-3500 are both portable full range, UV-VIS-NIR instruments designed for field use. 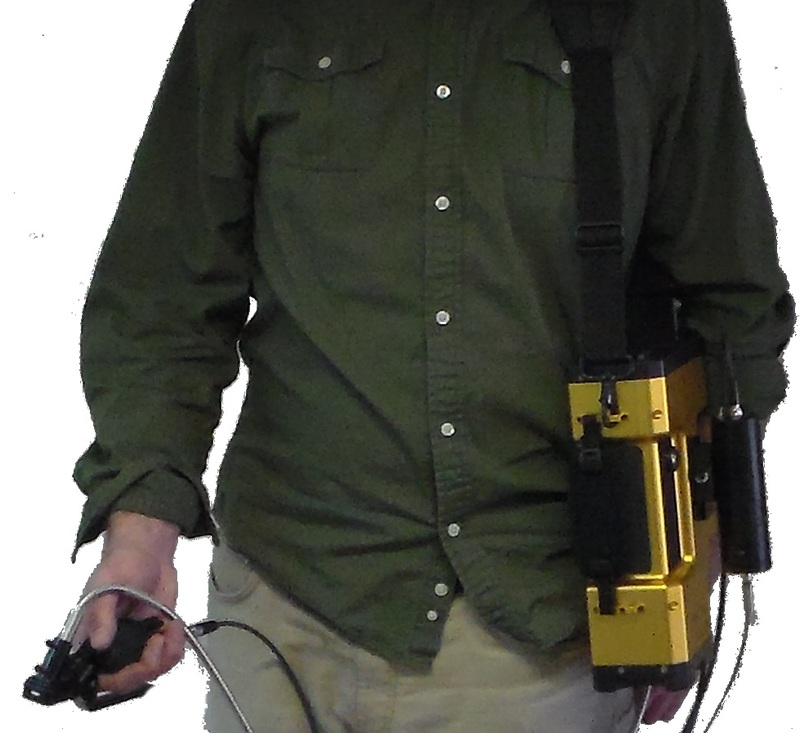 Every Spectral Evolution instrument includes DARWin SP Data Acquisition software with 19 built-in vegetation indices, including PRI and the Red/Green index. 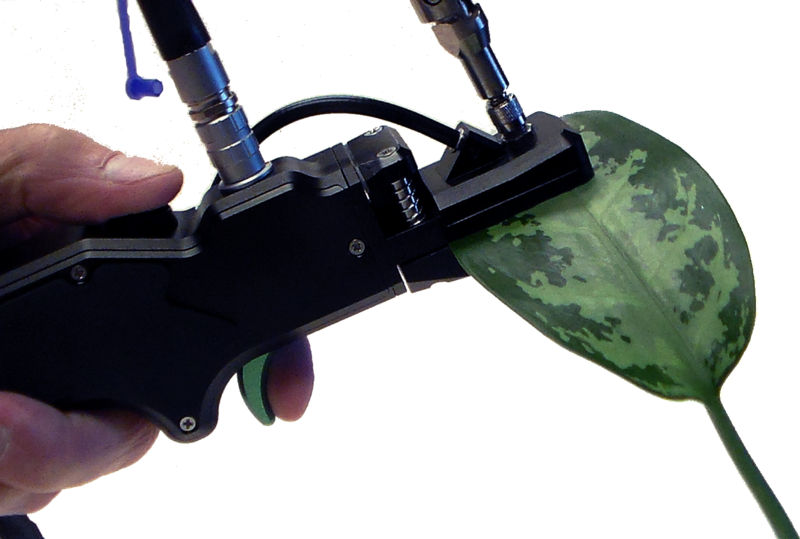 PSR+ with the unique leaf clip for vegetation research in the field. 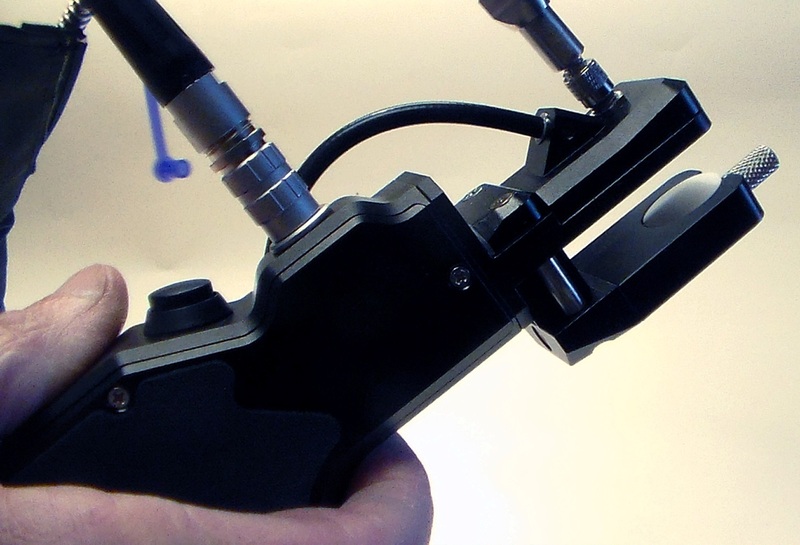 The leaf clip includes a built-in white reference and is designed to keep the heat from the illumination away from your sample so that measurements can be accurate and non-destructive. Closeup on the position and steepness of the red edge in a plant leaf scan for estimating nitrogen deficiency. In this multi-scan plot, the purple scan indicates a slightly less healthy sample.